The placenta is the most variable organ, in terms of structure, among the species. Besides it, all placental types have the same function: production of viable offspring, independent of pregnancy length, litter number, or invasion level. The angiogenesis is a central mechanism for placental functionality, due to proper maternal-fetal communication and exchanges. Much is known about the vasculature structure, but little is known about vasculature development and cellular interactions. Pericytes are perivascular cells that were described to control vasculature stability and permeability. Nowadays there are several new functions discovered, such as lymphocyte modulation and activation, macrophage-like phagocytic properties, tissue regenerative and repair processes, and also the ability to modulate stem cells, majorly the hematopoietic. In parallel, placental tissues are known to be a particularly immune microenvironment and a rich stem cell niche. 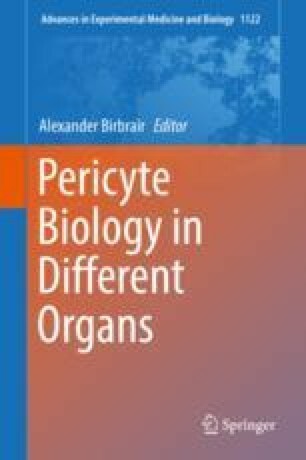 The pericyte function plethora could be similar in the placental microenvironment and could have a central role in placental development and homeostasis. Alexander Birbrair is supported by a grant from Instituto Serrapilheira/Serra-1708-15285, a grant from Pró-reitoria de Pesquisa/Universidade Federal de Minas Gerais (PRPq/UFMG) (Edital 05/2016), a grant from the National Institute of Science and Technology in Theranostics and Nanobiotechnology (CNPq/CAPES/FAPEMIG, Process No. 465669/2014-0), a grant from FAPEMIG [Rede Mineira de Engenharia de Tecidos e Terapia Celular (REMETTEC, RED-00570-16)], and a grant from FAPEMIG [Rede De Pesquisa Em Doenças Infecciosas Humanas E Animais Do Estado De Minas Gerais (RED-00313-16)].